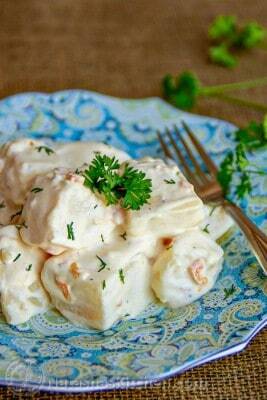 I first tasted these Alfredo potatoes at my friend, Jen’s home (her darling little girl turned 1). Everyone at the party (including myself) was raving about these taters. There were plenty of “ooh’s, ahhh’s and oh yumm’s!” flying around. I knew I couldn’t leave without asking for the recipe. 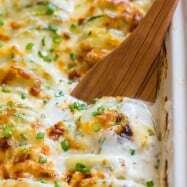 Jen and her Mama are very talented in the kitchen and they graciously shared this recipe with us. 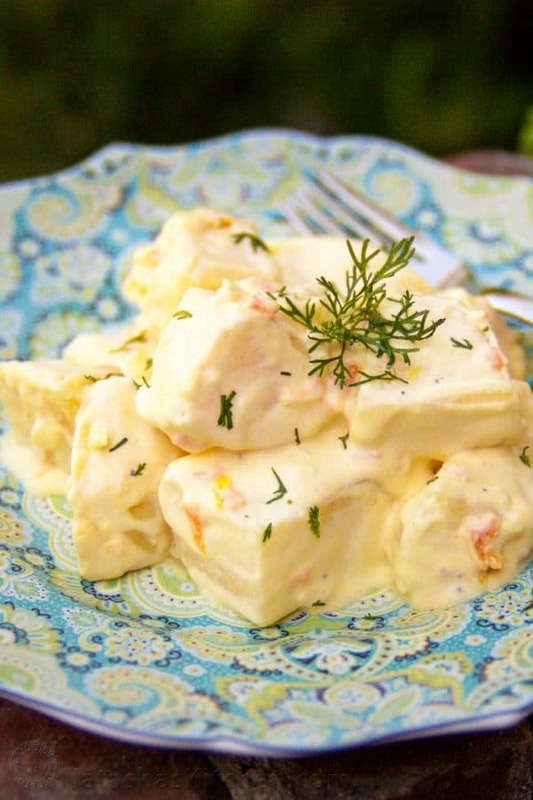 Alfredo potatoes are rich and wonderful; perfect for a party as they must be made 2 hours ahead. 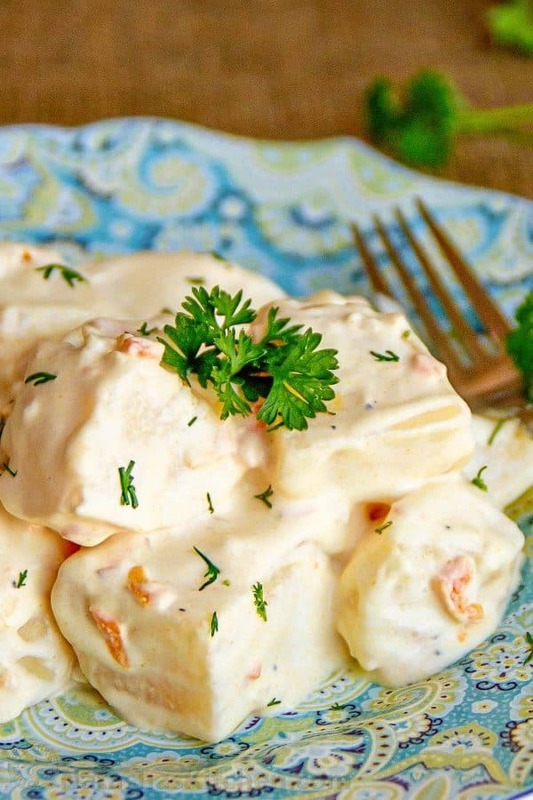 Once the potatoes are done, they just bask in their creamy sauce for a couple hours so you have time for the gazillion other things that need to get done. 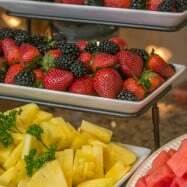 We ate these all week long and never grew tired of them. Did I mention they re-heat amazingly well? I have a confession to make. The potatoes in the photo above are from day 3. See what I mean? 1. 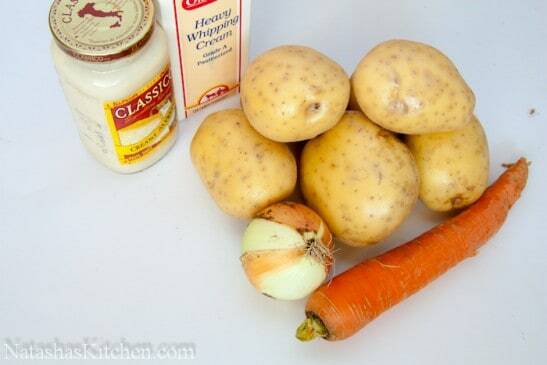 Wash, peel and cut potatoes in quarters (or 1/8’s if they are really large). Place them in the pot and cover with water (optional – add 1 bay leaf and 2 pierced garlic cloves to infuse potatoes with extra flavor). Bring to a boil and cook additional 12-15 min. 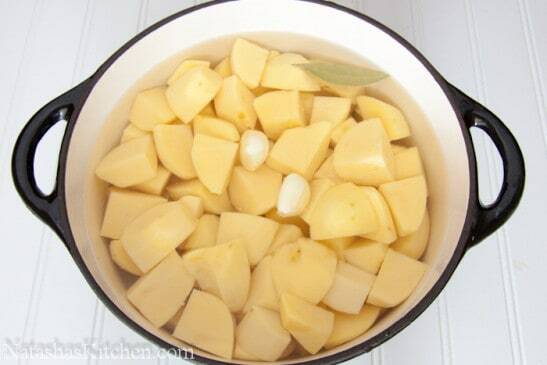 Add 1 Tbsp of salt only after water starts to boil, this helps to keep potatoes more intact. Be careful not to overcook potatoes or they will be mushy (they should be smoothly pierced with a knife but not crumbly). 2. 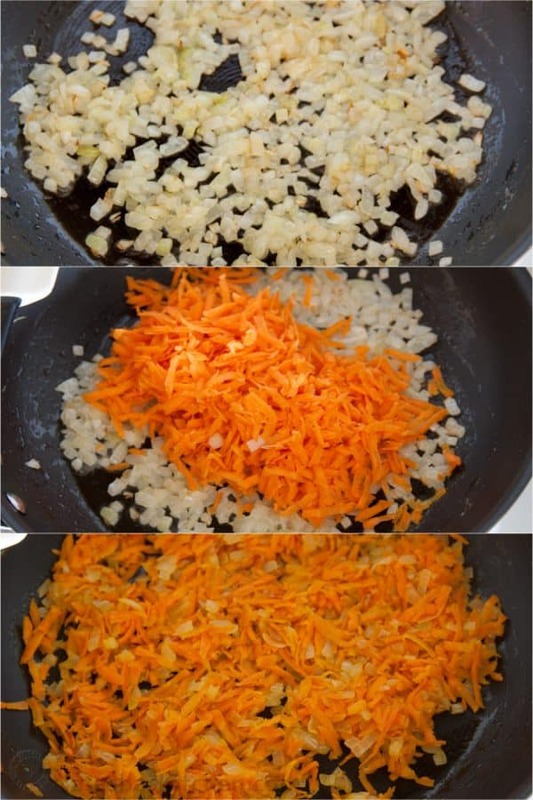 While potatoes are cooking, dice onion and grate carrot. Add 1 Tbsp of canola oil to a large skillet and heat to medium high. Once the skillet is preheated, melt 2 Tbsp of butter and stir in onion. Saute onion for 5 min. Add carrot and sauté for 3 more minutes until softened. 3. 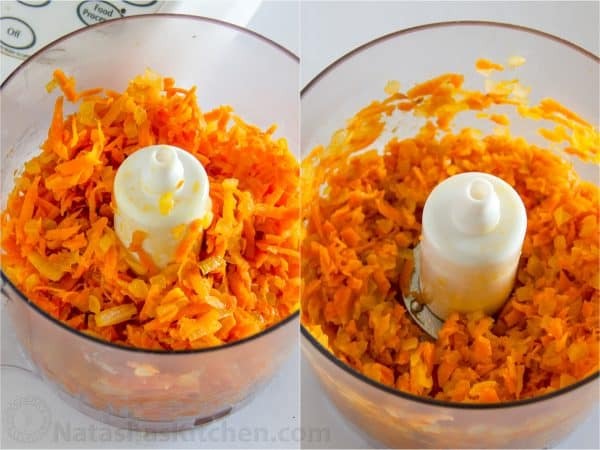 Place onion/carrot mix in the blender & pulse a few times to make the mix more fine (this step is optional. It still works great if you don’t dirty up your blender). 4. 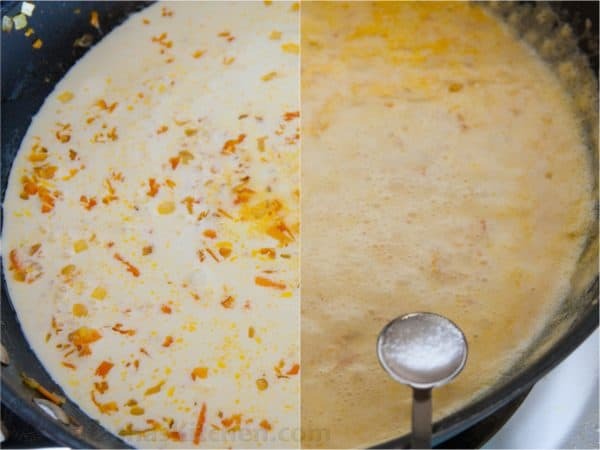 Melt 1 Tbsp of butter in the same skillet and add blended carrot mix. Stir in 2 cups heavy cream and bring mixture to boil. Add 1/2 tsp salt, or more to taste. 5. 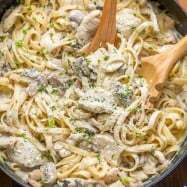 Remove skillet from the heat, add 1 can of Alfredo Sauce and stir. 6. Drain cooked potatoes (and remove garlic and bay leaf if used). 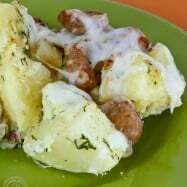 Pour sauce over potatoes and cover with lid. Wrap the pot with a blanket or a few towels for a minimum of 2 hours before serving (this step is NOT optional and infuses the potatoes with some fantastic flavor). My sister discovered a way to speed things up: preheat your oven to 375˚F, then turn it off and let the finished potatoes sit in there with a lid on for 1 hour and it’s done! Wash, peel and cut potatoes in quarters. Place them in the pot and cover with water (optional - add 1 bay leaf and 2 pierced garlic cloves to infuse potatoes with extra flavor). Bring to a boil and cook additional 12-15 min. Add 1 Tbsp of salt only after water starts to boil. Don't overcook, potatoes should be smoothly pierced with a knife but not crumbly. While potatoes are cooking, dice onion and grate carrot. Add 1 Tbsp of canola oil to a large skillet and heat to medium high. Once the skillet is preheated, melt 2 Tbsp of butter and stir in onion. Saute onion for 5 min. Add carrot and saute for 3 more minutes until softened. Place onion/carrot mix in the blender & pulse a few times to make the mix more fine (this step is optional). 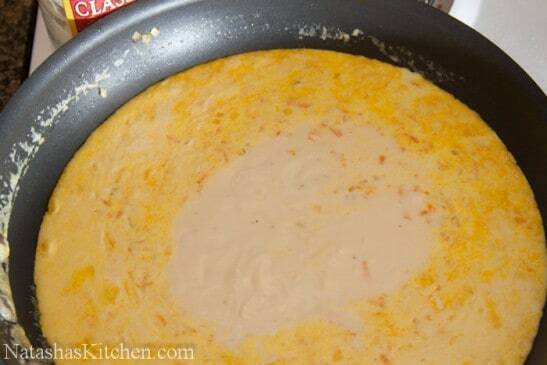 Melt 1 Tbsp of butter in the same skillet and add blended carrot mix. Stir in 2 cups heavy cream and bring mixture to boil. Add 1/2 tsp salt, or more to taste. Remove skillet from the heat, add 1 can of Alfredo Sauce and stir. Drain cooked potatoes (and remove garlic and bay leaf if used). 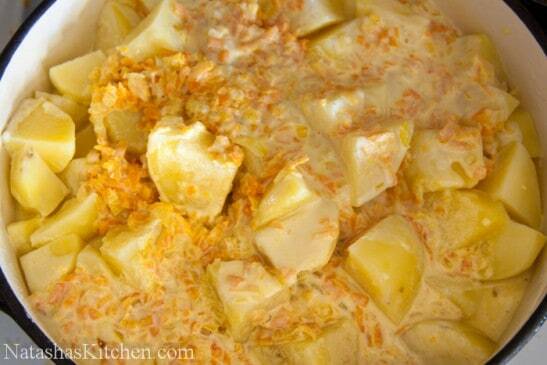 Pour sauce over potatoes and cover with lid. Wrap the pot with a blanket or a few towels for a minimum of 2 hours before serving (this step is NOT optional and infuses the potatoes with some fantastic flavor). Hi Anay, yes that would work, but keep in mind the chicken will absorb some of the sauce as it stands. It might be less likely to absorb sauce if you dice the cooked chicken instead of shredding it. 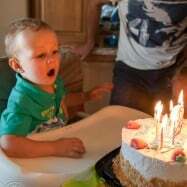 Voschishchiajus vashemi bliudami.. Tak kak zhivu v Litve, “Alfredo” sauce u nas netu… Mozhet mozhety predlozhit analog? 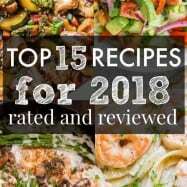 Thanks for all your recipes 🙂 I was curious if half & half would work instead of the heavy cream? oh em geeee!!! can’t wait to try this…. but i have a question, when u add the sauce over the potatoes, do u mix it before wrapping it with blanket and let it sit, or u just mix it just before serving it?